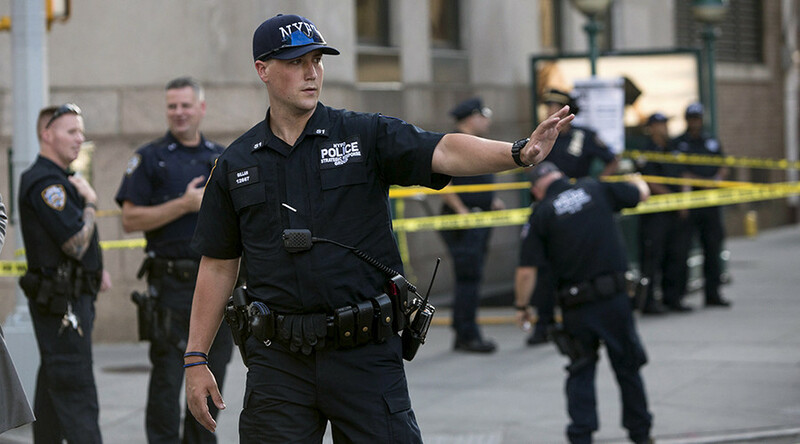 An armed US veteran has broken into a federal building in Lower Manhattan via a side door, shooting a security guard in the head and killing him. The lone attacker, who acted without a clear motive, ended up committing suicide before police were able to arrive at the scene. It appears that the gunman acted alone and police said that there was no indication that the attack was terrorism-related. 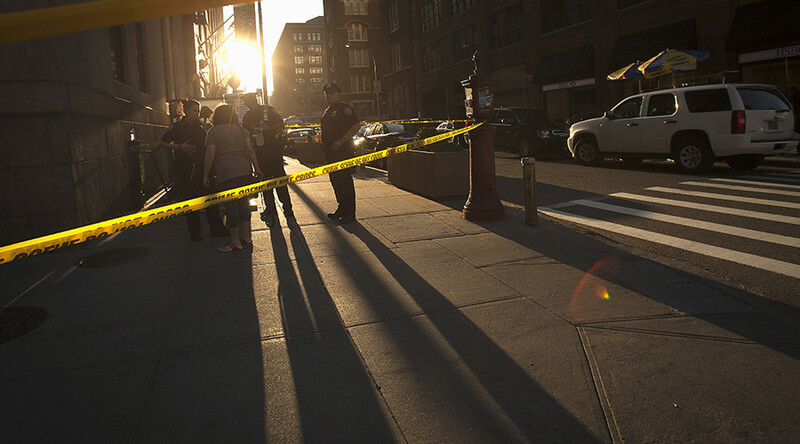 The shooter, identified as Kevin Downing , entered through a side door of the Manhattan building, which houses a regional office of the Department of Labor, a passport processing center and an immigration court, police said. After confronting an FJC Security Services guard Idrissa Camara at a screening area, Downing shot him in the head at close range. The guard was armed but never had the chance to shoot back. The 53-year-old father of four succumbed to his fatal wound at the scene. The shooter then went to the elevators, where he shot himself in the head after encountering another employee, according to police. Following the incident the building was placed on lockdown and briefly evacuated. The FBI is assisting in the investigation because Camara was working as a contractor for a federal agency. The agents were sent to Downing’s home, search warrant pending, in order to try and find anything that could shed light on the motive behind the crime.